Quality and Effectiveness: Classcraft is a Web-based gamification platform designed to motivate students and improve classroom management. The tool is beautifully designed—both aesthetically and from a user experience standpoint. I was impressed with the quality of the avatars, items, and animations Classcraft offers. Ease of Use: Everything from setup and integration to creating your first Classcraft “classroom” is intuitive and user-friendly. After a brief signup process, I had my class up and running in just a few minutes. 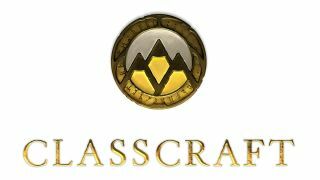 Classcraft is easy to understand and navigate, thanks to a lengthy, but valuable, onboarding process that not only walks users through how to use Classcraft but also explains where everything is and how educators can deploy game mechanics in the classroom. Classcraft also comes with a useful demo class so users can practice using the tool and experiment with its features before getting started. Creative Use of Technology: Classcraft is meant to be projected onto a screen so that students can see throughout the class period how their teamwork, achievements, activities, and behavior are benefitting their progress in the game. Many of Classcraft’s features, especially the fun Random Events feature, lend themselves well to this design. A teacher could, for example, alt+tab between the lesson and Classcraft during a class to increase engagement and motivation. Suitability for Use in a School Environment: Excellent. Elementary-to high-school teachers who are willing to put in the time to use Classcraft consistently as part of their everyday classroom management can use the tool effectively. I would feel comfortable using Classcraft from third grade through high school. Classcraft is a fantastic platform. Teachers can customize every game mechanic in the platform to meet the needs of their classrooms. I would recommend the tool to teachers who are interested in trying out gamification—especially if they’ve never tried it before. • Customization. Teachers can tailor nearly every part of the platform to meet their needs. • Easy to set up and use, with support and tutorials that will be helpful for all users, regardless of their level of experience with gamification. • Affordability. It seems to be priced in a way that teachers can pay for it themselves, out of their own pockets, without breaking the bank. The features users get with the paid version, such as unlimited boss battles, more customizable gear and pets, and the ability to gamify class content, are worth the price.